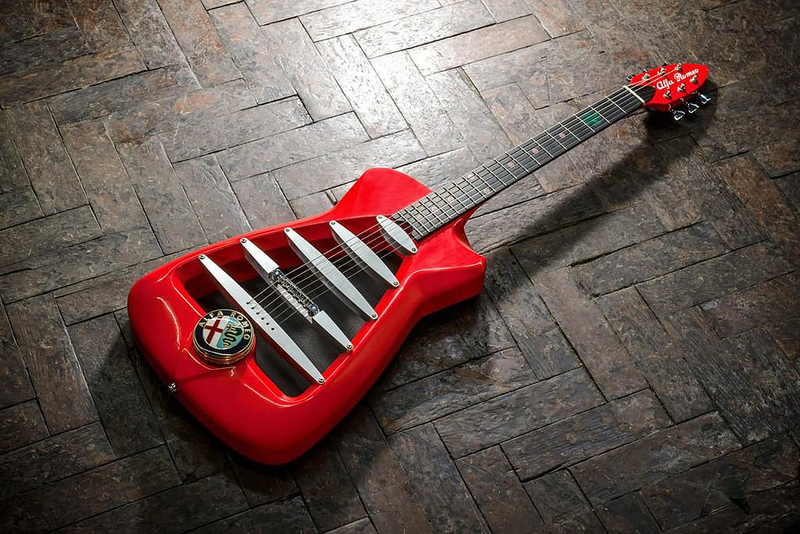 HomeBlogHome DecorAlfa Romeo Guitar by Harisson Custom Guitar Works. 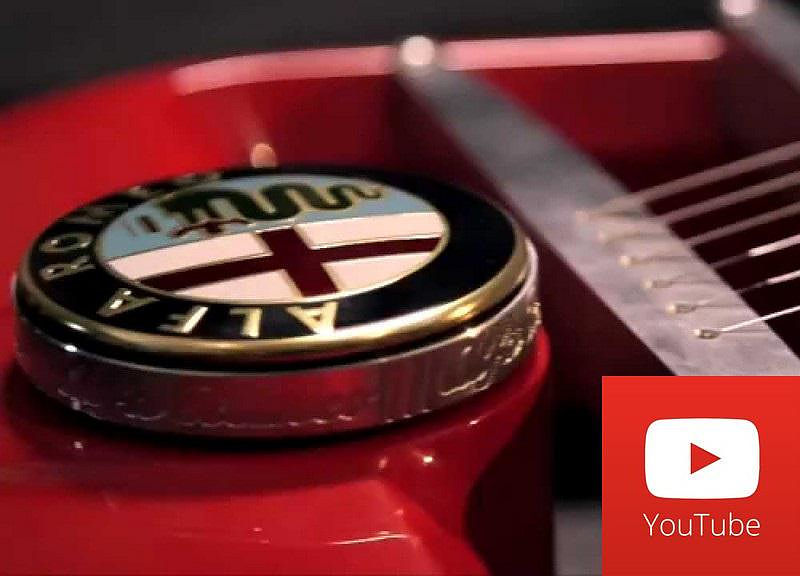 Alfa Romeo in collaboration with custom guitar manufacturer Harisson, present the Alfa Romeo guitar, a stunning electric guitar with distinctive styling that resembles the shape of the iconic Italian sports cars. Harisson is a UK based manufacturer known for its handcrafted guitar works. All their guitars are custom made for clients and therefore, unique. 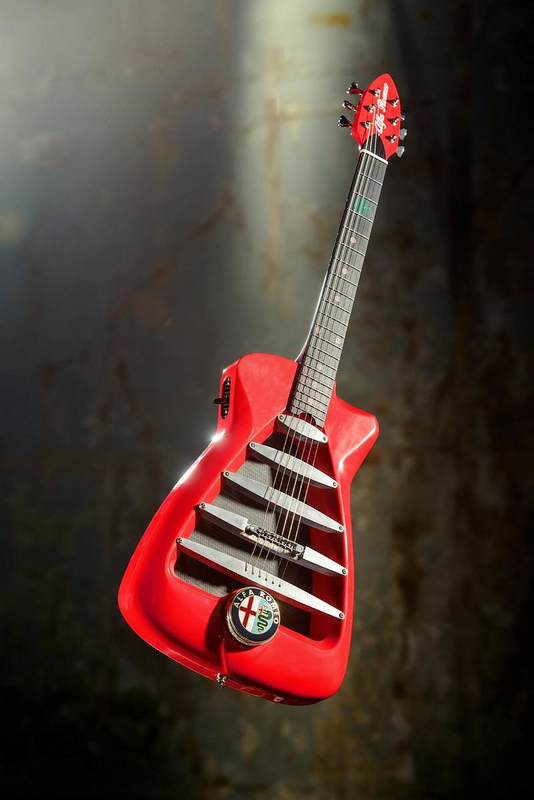 This fact is apparent just by looking at the innovative design of the Alfa Romeo guitar. 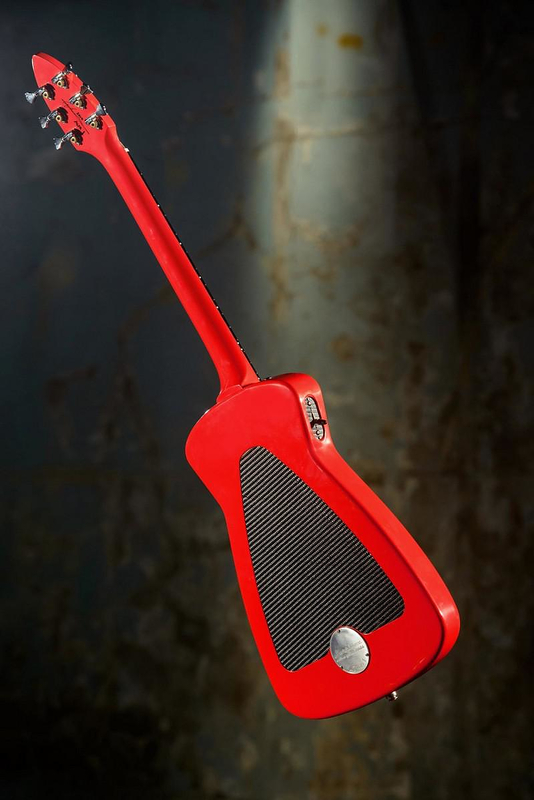 The aerodynamic lines featuring Alfa Romeo’s car models were the inspiration behind the design of the Alfa Romeo guitar. 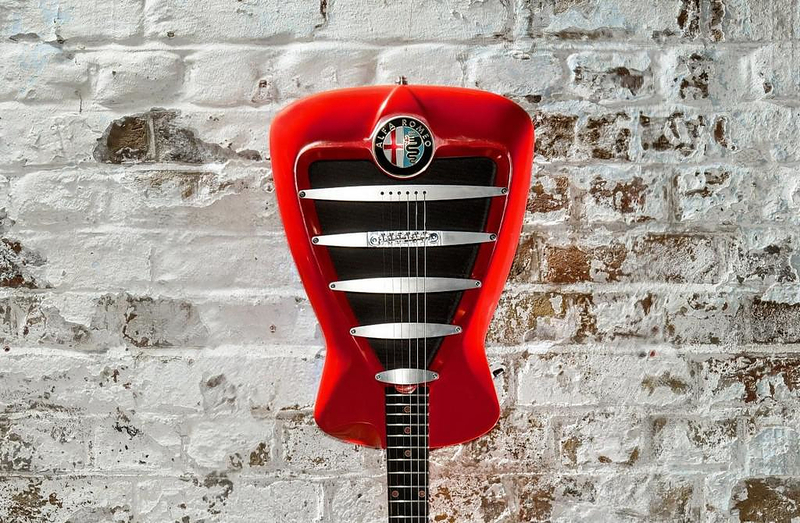 The Alfa Romeo guitar’s custom design is inspired by the iconic front grilles of the Alfa Romeo cars. 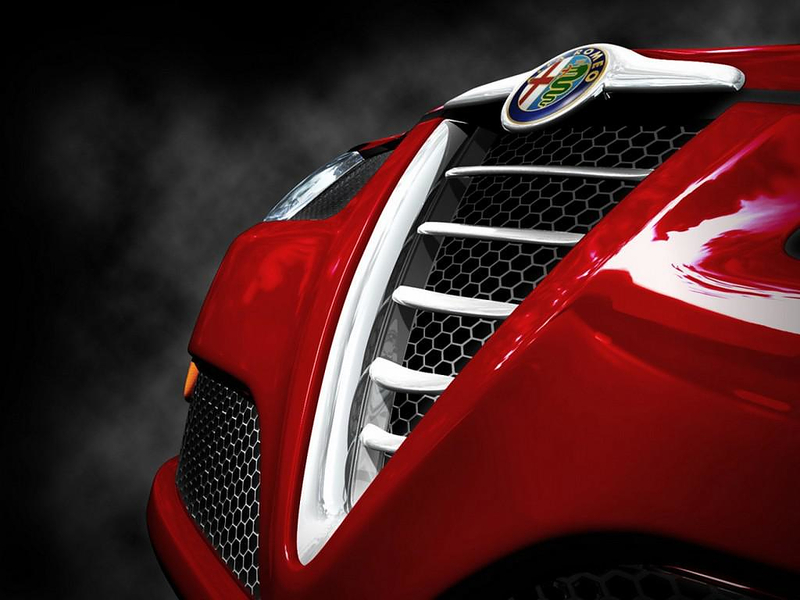 The Alfa Romeo badge features an engraved collar and works as a volume dial. The semi-hollow shape of the instrument allows the experimentation on new materials as synthetic carbon fiber. Parts of this specific material are included in the guitar’s back and on the inside. The choice of carbon fiber was inspired by Alfa Romeo’s 4C model. 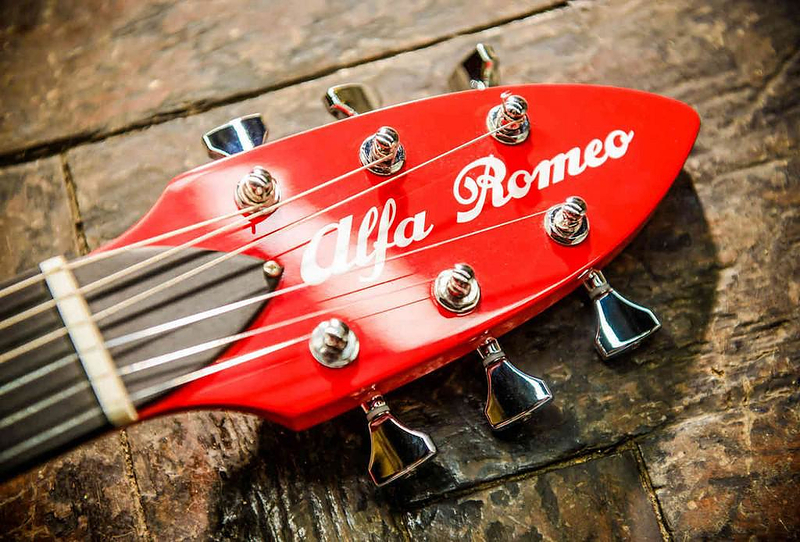 The Alfa Romeo guitar also features high quality wooden and aluminum parts, as well as handcrafted pick ups. The overall result is painted in a vivid Alfa Guiletta red color. 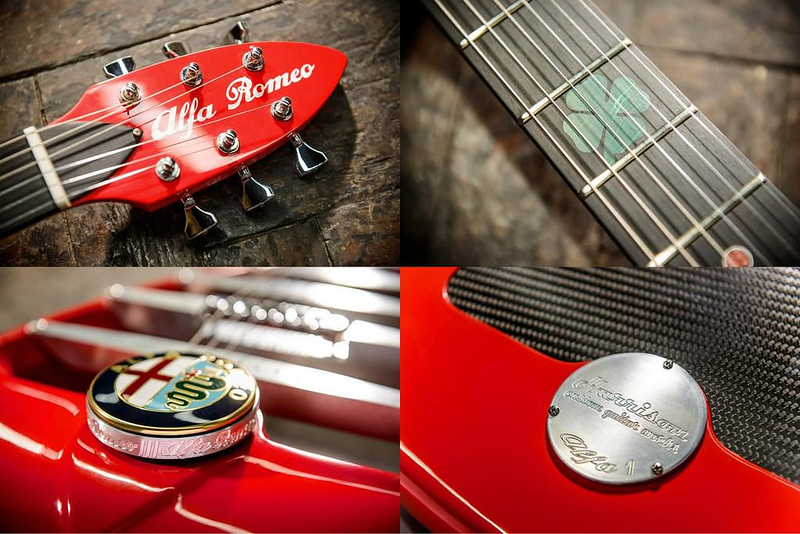 “through painstaking attention to detail, innovative design and expert craftsmanship, Harrison Guitars Works have perfectly captured the spirit of Alfa Romeo in this unique guitar…the final result has far exceeded our expectations. We are delighted with the guitar. Guy’s is a rare talent that requires the same high levels of passion and dedication that we put into our road cars. He’s been a pleasure to work with on a very special project for Alfa Romeo”. 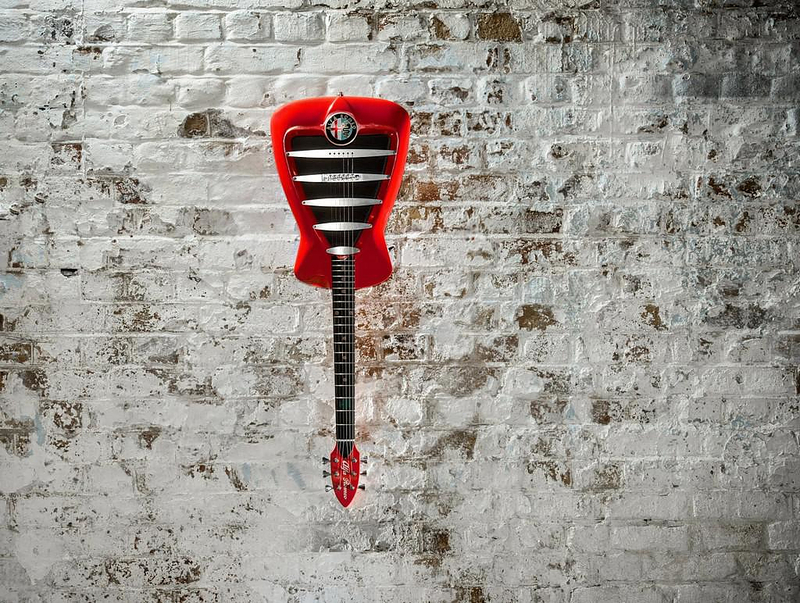 The Alfa Romeo guitar was numbered and authenticated in only 11 pieces, one for every decade of Alfa Romeo’s history and is available at a price of £4,000.